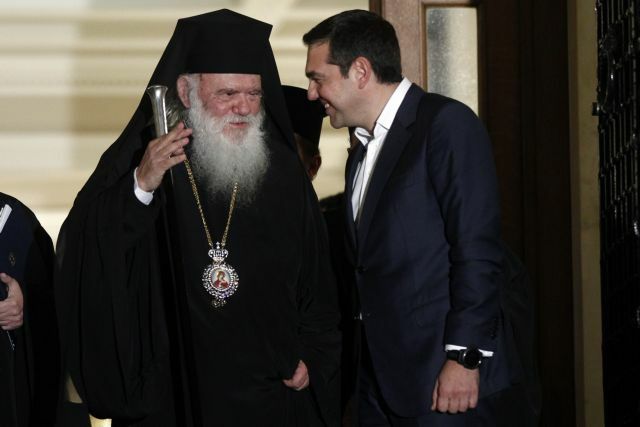 One night Prime Minister Alexis Tsipras and Archbishop Ieronymos announced an “historic agreement” and the very next day the government spokesman hastened to announce that an additional 10,000 civil servants will be hired, as many as the number of priests that will be removed from the ranks of civil servants and will be paid with a state subsidy that will be administered by the Church hierarchy. One needs no further proof to realise that the government utilised the Church not in order to resolve the issue of Church-State relations, but in order to garner votes. If the only thing a government looks to is elections, it clearly is not governing, but rather is dealing with politics as would a panicked citizen, handing out a bit of money and many promises, appointing friends and relatives, setting up client networks, trying to replace old hopes with new ones, and pledging the future hiring of a record number of civil servants. The government insists on following political recipes that led the country to bankruptcy. It insists on approaching the major problem of unemployment with the outlook of an employer. It is not managing the issue as a state that takes care to establish an environment suitable for the creation of new jobs for young people, who will not need to seek salvation in the civil service, but who will rather have an opportunity to develop their skills and talents in other professional fields. That is the blessing that the youth of Greece seeks, and not the blessing that the Church offers the government.